There’s a new game in Beverly Hills, and it’s taking the couture world by storm. 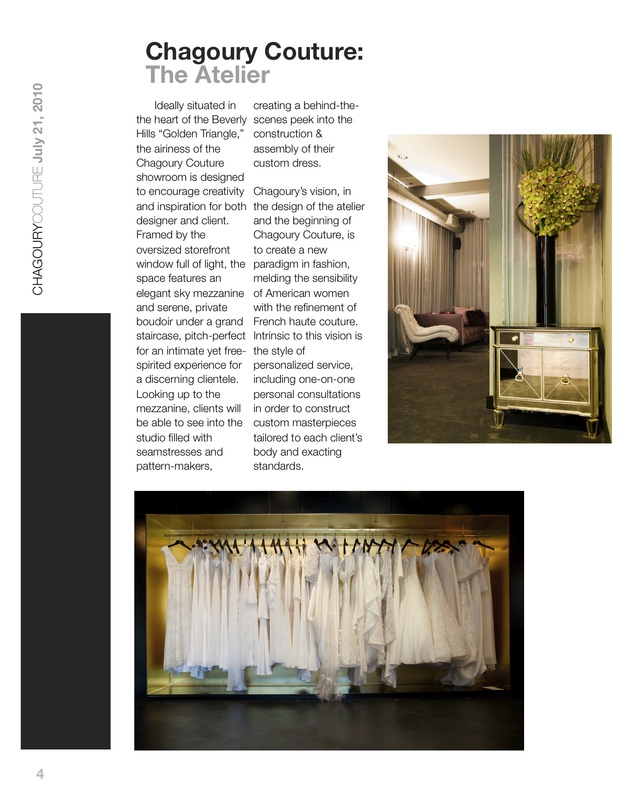 Designer Gilbert A. Chagoury has created a new paradigm in fashion with the recent launch of Chagoury Couture. Offering the best of both worlds by blending American sensibilities with French refinement, Chagoury creates clothes that are eminently wearable and intrinsically flattering. His new atelier embraces a strong focus on personalized service, offering one-on-one consultations that are the first step to custom masterpieces that reflect the spirit of the wearer and are tailored to perfection. 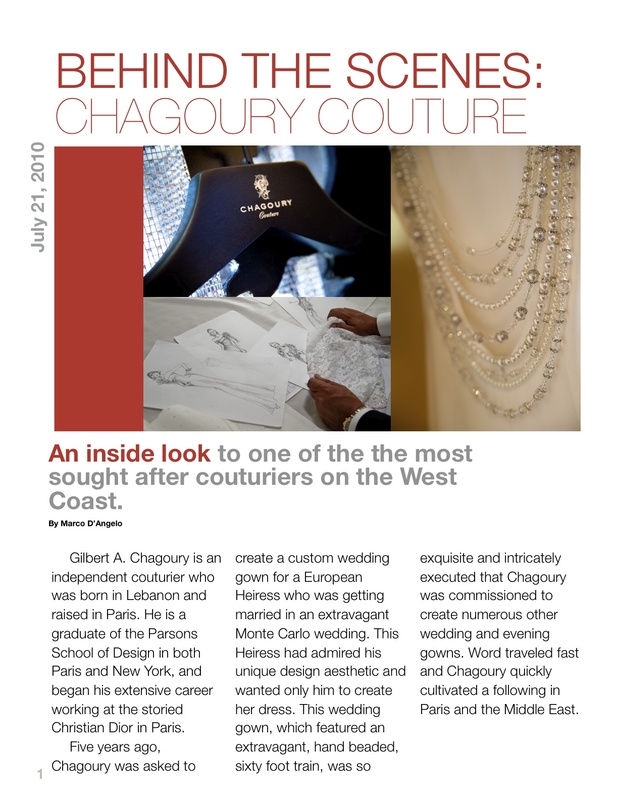 Chagoury Couture is definitely a name to watch…to wear…to love. Not ready for fall fashion just yet? Here’s a little number by Tracy Reese that’s just perfect for now. Michelle Obama would definitely wear this. Tracy Reese seems to crop up frequently in the First Lady’s wardrobe. And why not? 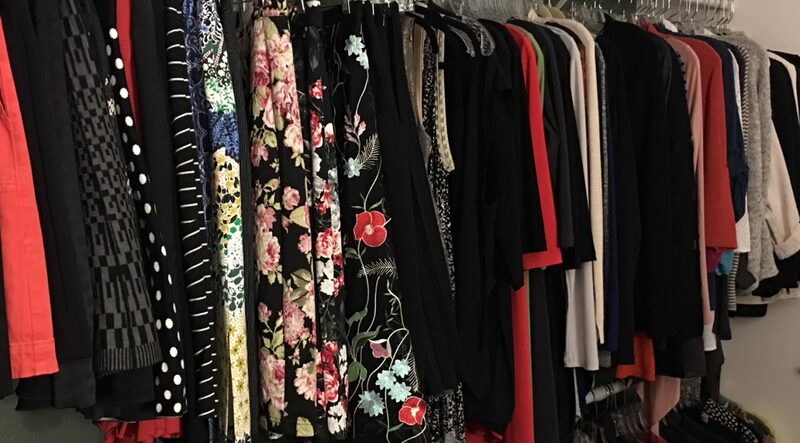 Her clothes are classically lovely, fashionable, and affordable—with just the right amount of flirty thrown in for good measure. Best of all, they’re easy to wear because they’re designed to flatter a woman’s body. 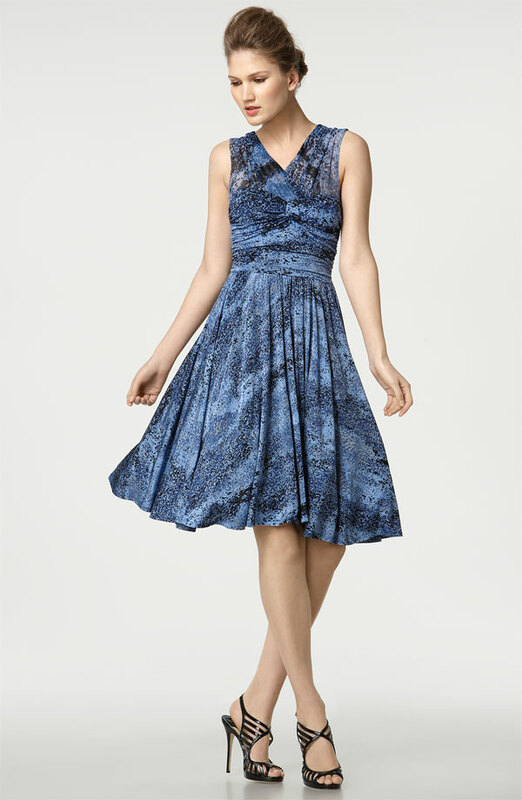 I am absolutely smitten with this spotted jersey dress, part of the Tracy Reese new fall line. It’s available for pre-order on the Nordstrom Web site, and it’s already in my shopping cart. It’s the perfect style for the baby boomer woman—providing coverage for the imperfections that crop up as we get older, such as a spotty chest or jiggly upper arms. What’s more, the fullness of the skirt is the perfect camouflage for less-than-perfect hips, thighs, and rear. I’m guessing Mrs. Obama will be sporting this in October—and she’ll look fabulous, as usual. For certain, it will be part of my cool-weather wardrobe. 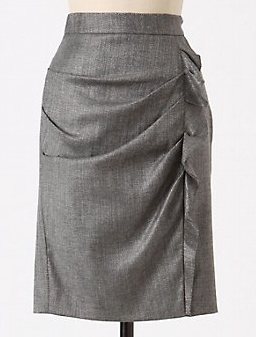 Anthropologie does it again with the Luminous Graphite pencil skirt. A little bit conservative, a little bit edgy, it can go from client meeting to dinner out with ease. Because of the detail on the front, it works best with a tucked-in top—such as a fitted shirt or a sleek knit—and a skinny belt. Add a pair of peep-toe stilettos and you’re good to go. I definitely married the right guy. Anyone who knows me well or who has followed my style blog (thank you, thank you!) knows that clothes, shoes, handbags, and jewelry play an important role in my life. That’s not to say I give these things more importance than is their due…I do have my priorities in order…but I enjoy trying to reflect my personality or make a statement when I get dressed. Which brings me to last night…. Did I marry the right guy or what?